This is a Guest Post by Meg Moore, who writes for Degree Dojo. If you want to write for us, then read the guidelines at out ‘Become A DailyBlogger‘ page & submit your guest post for review. 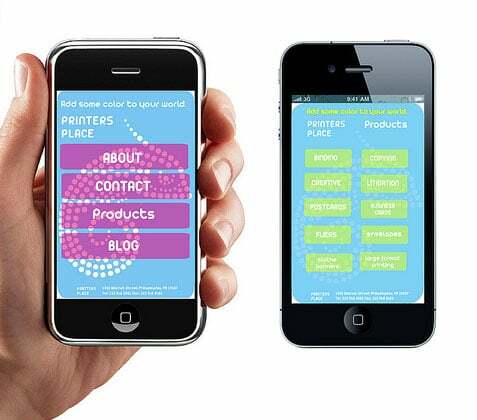 As apps are becoming an increasingly popular way of sharing information and connecting with people, many companies are beginning to shift some of their focus from website design to app design. Using both together can be a great integration of multimedia for web designers. More people than ever are using apps on a daily basis as a growing number of the population has gained access to smartphones and tablets. Many computer companies are even beginning to integrate app technology into their computers, allowing people to download the applications originally designed just for these devices onto their computers. Apps can be a great way for companies to connect to people, but website designers are learning ways of integrating app and websites together to create new and unique user experiences. The most common examples of this currently in use are social networking sites such as Twitter and Facebook, which offer simplified versions of their popular websites which can be downloaded directly onto a tablet or phone for ease of use. Other companies are also seeing the use of these apps. Many web design degree programs are beginning to teach app design, and many web designers are currently designing apps alongside websites so that the two can easily be used together. The greatest benefit of designing a website and an app in tandem is that, because apps are easily used on the go, people learn to use these sites on a regular basis. While these apps are simple and often can’t contain nearly the amount of content that a website can contain, they increase traffic to websites because users remember the sites and go back to them later once they are online. A common integration of apps and website design are apps that perform the same function as a website; for example, apps have been developed to place orders at restaurants or to search for daily deals at stores and other businesses. The most important thing for web designers to remember is that an app must be not only simple but fun to use, and they must still keep the “feel “ that the website designer has used on the main site, not only through graphic design but through usability and age appropriateness. Website design degree programs often teach students how to integrate this various forms of technology. Being able to incorporate a single website design on multiple levels is quickly becoming an important part of any website design career. So, which app would you choose : A productive app or a well designed app or a combo of both ?? Meg Moore lives and works in Texas. She has attended both the University of North Texas and Texas Woman's University. She writes for Degree Dojo. Now days almost everybody has a smart phone. So it is so important to have a mobile version of your website. Thanks for the article, it’s helpful to know! Yeah!! This is what everyone wants today interesting application and awesome design. The best reason iPhone apps hit well are ‘coz of the design factor. The whole interface and graphics are more compelling that the functionality. Rightly shared, Meg! The best reason to hit the iPhone apps coz factor-is’. The whole user interface and is compatible graphics functionality. properly distributed, Meg! Hi Meg thank you very much for your article. Because reading your article I think I start to learn to create application. Thanks guys !!! I am glad you all find this article helpful! I am planning on writing more articles here soon, hopefully you will enjoy those ones as well! Hello Meg, its really effort on here. Thanks a lot for sharing.